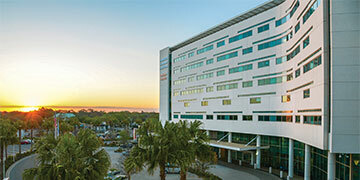 Sarasota Memorial Health Care System, an 839-bed regional medical center, is the among the largest acute care public health systems in Florida. With more than 5,000 staff and 500 volunteers, it is one of Sarasota County’s largest employers. 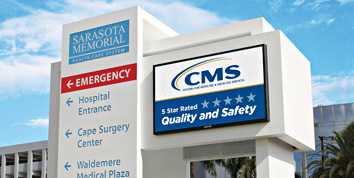 A community hospital founded in 1925, Sarasota Memorial is governed by the nine-member elected Sarasota County Public Hospital Board. It is a full-service health system, with specialized expertise in heart, vascular, cancer, and neuroscience services, as well as a network of outpatient centers, long-term care and rehabilitation among its many programs. Sarasota Memorial is the only provider of Level II trauma services, obstetrical services and Level III neonatal intensive care in Sarasota County. We’re making headlines! Catch up on the latest at Sarasota Memorial Hospital.